Dr. Drew Pinsky was fired today after airing "The Dr. Drew Show" on the HLN network, which is a CNN "sister network." The announcement was made today by CNN executive vice president Ken Jautz. Ken claimed that Dr. Drew "mutually agreed" to part ways after more than five years on the air. Dr. Drew is a beloved celebrity Doctor, and has had numerous high profile patients. 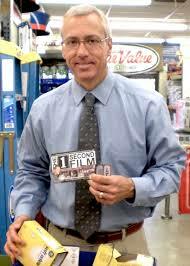 Dr. Drew is also a syndicated radio show host and has been on the air since the mid eighties. Dr. Drew has a large worldwide fan base. Celebrities and regular people from all over the world listen to Dr. Drew, and respect his immense body of work. He has been credited as being a life-saving figure in many people's lives, and has helped many celebrities get past substance abuse and emotional problems. It comes as quite the surprise that Dr. Pinsky would be released from the HLN network, considering that he has such a massive fan base and carries such a high celebrity profile. Dr. Drew makes regular appearances on television and radio. It is not uncommon for him to make comments or assessments on highly visible celebrity cases. Typically if there are celebrities that are rumored to have addiction, or other medical issues, Dr. Drew will be asked his opinion, and he usually obliges. Recently Dr. Drew made an appearance on KABAC's Mcyntire In The Morning. While he was on the show, he was asked to address Hillary Clinton's potential medical issues that have been rumored, and alluded to. Listen to the interview below. Dr. Drew has always shown a high level of care and compassion for the various celebrities that he comments on. This is a very typical interview for Dr. Drew. As you can see, Dr. Drew was "gravely concerned" with Sick Hillary's medical condition. He was also extremely shocked as to the type of seemingly negligent medical care she had been receiving. After the large Wikileaks scandal, various emails came out regarding Hillary Clinton's medical condition. One such email suggested that Hillary was suffering from "decision fatigue", which would be a very troubling condition for a presidential candidate. This was not the only time that Hillary was spotted acting strangely. During a modestly populated rally, Hillary froze like a deer in the headlights, and completely lost track of her words. It almost seemed as if she did not know where she was. A man wearing a suit can be seen rushing to Clinton's aid. Many people have been calling this "Hillary's Handler." In this video you can see him talking her down, and helping her regain her whereabouts. Strange behavior indeed. Any reasonable person can clearly see that there is something that is not quite right with Hillary's health. Dr. Drew's commentary was clearly just pointing out the obvious, but from the viewpoint of a medical professional. His clearly compassionate approach shows that his intention truly was that of a caring and respectful medical practitioner. Dr. Drew also made some comments regarding Republican presidential candidate Donald Trump. The liberal media has been trying to paint Mr. Trump as "crazy" and "psychotic." Take a look at Dr. Drew's commentary below. If you take into consideration the blatantly obvious media bias against Donald Trump, ESPECIALLY coming from CNN, it would appear that CNN got rid of Dr. Drew based on these comments. You will be hard pressed to find anyone in the mainstream media seriously addressing Hillary Clinton's medical issues, like any unbiased journalist should be doing. Only a few short days after Dr. Pinsky made these remarks, his show was cancelled. I find the timing to be highly suspect to say the least. I am sure that Dr. Drew will carry on just fine without the backing of CNN. This just goes to show, that if you go against the liberal mainstream narrative, you will quickly be blackballed by the corporate elite propaganda networks. This leads me to question how many of the Hollywood and Music Industry celebrities are truly backing Hillary Clinton. Do actors and musicians support the political elite out of genuinely personal reasons, or do they endorse based on the very real fear that they will be blackballed by the entertainment elite in this country? Good luck Dr. Drew! Thank you for your wonderful work!